For domestic shipping, we use JNE service, which you can choose the types of service according to your needs. NOTE: Please allow at least 7-14 working days for made to order item(s) to be made and ready to ship after payment has been done. Please refer to www.jne.co.id for domestic rates. International rates may change based on exchanged rate. Shipping cost will appear together with your total after check out. Once your order has been shipped via our assign carriers, you will receive an automated e-mail with your tracking information. Your tracking information can also be found by logging into your account and viewing your order history. Charlotta Atelier is not responsible if JNE/EMS POS can’t deliver the package in time for the following reason: incomplete/misspelled address or no recipient at the address. Charlotta Atelier is not responsible for customs, taxes or duties incurred for international shipments. 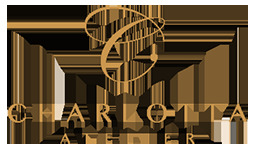 If you wish to return an item, please drop us an email at info@charlottaatelier.com within 7 days from shipment date. We do not offer exchanges or refunds regarding sizing issues. Items must be returned to us unworned and unwashed. We will not be responsible for any lost mails during this return process. Customers shall bear full responsibility in ensuring items mailed back are packed and secured properly in the original packaging. Customers are highly recommended to mail the item via a mode of delivery that allows tracking. Please Note: Due our item(s) are made by order, we do not accept "REFUNDS"